The Independence Fire Department is celebrating its 175th anniversary this year. On February 6, 1843, Richard Ridgeway Rees, James McGill, Anthony Cosgrave, Benjamin Franklin Wallace and thirty-six other volunteers incorporated the Independence Fire Company. The volunteers utilized a man-powered wooden engine and buckets of water to put out fires. 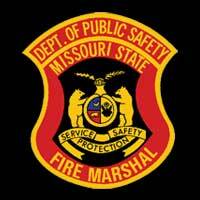 The fire department transitioned from a volunteer to professional paid department in August 1894. 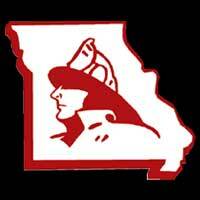 Fire Chief’s Winter Seminar in Branson, February 24, 2018. From left to right: Retired Chief of the Kansas City Fire Department and past President of the International Association of Fire Chief’s “Smokey” Dyer, Bill Westhoff, Jim Silvernail, President of the Missouri Association of Fire Chief’s Scott Fransen, and Missouri State Fire Marshal Tim Bean. The Missouri Association of Fire Chief’s meet every year about this time at Big Cedar Lodge for their annual winter seminar. 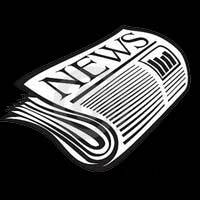 This year two individuals were honored for their service. 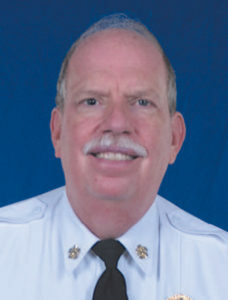 Chief Jim Silvernail retired in 2010 after nearly a half-century of service. He was a member of the Metro West Fire District in St. Louis County for 35 years, twenty-four of those years as the fire chief of that organization. He then additionally served as the fire chief in the Mehlville FPD for another five years. Jim’s Son is the chief of the Kirkwood Fire Department. 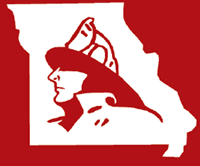 This is the second lifetime achievement award for Westhoff, having received one from the Fire Fighters Association of Missouri in 2013. Johnson County Fire Protection District held a years of service reception recognizing member’s years of service. Back row from left: Captain Rick Johnson, 35 years; Chief Larry Jennings, Firefighter Randy Hebensperger, 10 years; Firefighter Garth Bennett, 10 years; Firefighter Nathan McIntyre, 15 years; and Captain Matt West, 35 years. Front row from left: Firefighter Kris Moore, 5 years; Firefighter Jerrad Kelly, 5 years; Lieutenant RJ Corona, 5 years; Firefighter Darrell Mangan, 5 years; Battalion Chief Rick Morrison, 35 years; and Assistant Chief Dee Bennett, 35 years. 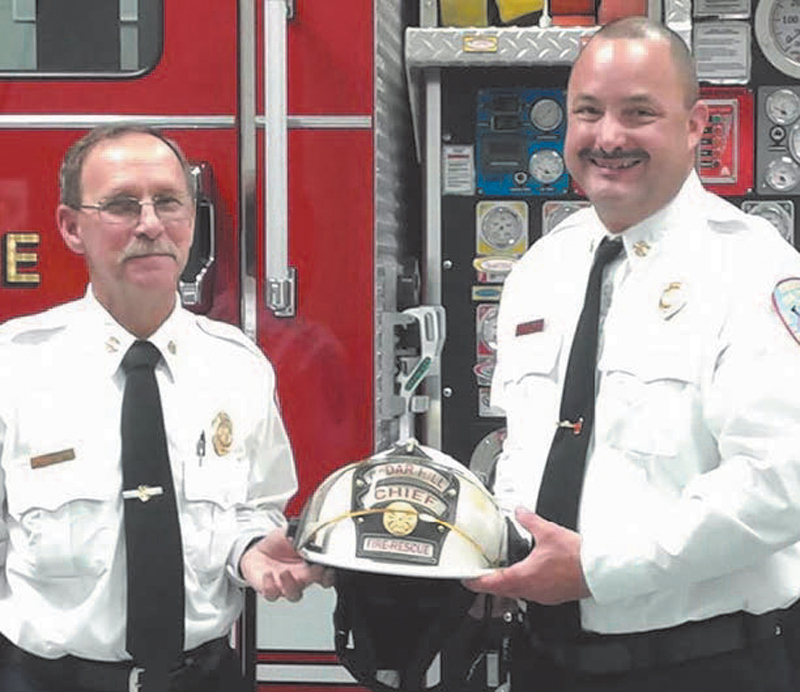 Fire Chief Terry Soer retired after more than 45 years of service. Terry started as a volunteer in 1972 where he served as a firefighter. He was hired full time by the district where he served as firefighter, lieutenant, fire marshal, and became the districts first full-time chief on January 1, 1991. He officially retired on January 1, 2018. Terry will be employed by the district until December 2018 serving as a consultant to the new fire chief. 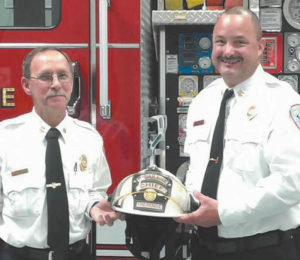 The fire district named Lieutenant Mick Fischer as the new fire chief. Mick started with the Cedar Hill Fire Protection District in 1994 as a volunteer firefighter. He was hired as a full-time firefighter in January 2002 where he worked his way up to the position of lieutenant before being promoted to fire chief. Chief Mick Fischer officially took over as fire chief on January 1, 2018. The Cedar Hill Fire Protection District would like to thank Chief Terry Soer for his many years of service and dedication. The Missouri Association of Fire Chief’s held their annual Winter Seminar at Big Cedar Lodge in Branson on February 23-25, 2018. During the meeting Chief Scott Frandsen of the Mid County Fire Protection District in Camdenton was elected the organization’s new president. 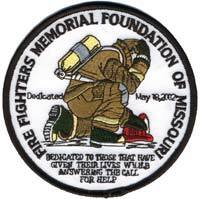 Scott and his family have dedicated their lives to the fire service around the Lake of the Ozarks and the state for several generations. Chief Frank Frandsen, Scott’s Dad held many fire service leadership positions in the lake area. Mid-County FPD provides protection for 227 square miles of central Camden County, including the City of Camdenton.